Locked out of your car, home or office? Call us today for 24-hour emergency lockout service. We will pick your locks with skill and precision and zero damage. Here at Willhite’s Mobile Lock Service in Winchester, VA, we know that there are times when you simply can’t afford to wait for a locksmith, and that’s why we offer 24-hour locksmith service. Few things are more frustrating than being locked out of your home, car, or office, and worse yet, lockout situations rarely occur on nice sunny days during business hours. While you might be tempted to try and break a window or pry open a door to gain access to your vehicle or house, it most cases you’ll wind up causing extensive damage that will cost more to repair than a service call from our 24-hour locksmith does. Before you resort to brute force to deal with a lockout, give our emergency locksmith a call. We can provide you with a clear, up-front estimate over the phone so you’ll have a good idea of what to expect when we arrive. Better yet, you won’t have to worry about your neighbors raising the alarm when they spot someone trying to break into your house. If you’ve been the victim of a home invasion or break-in after you call the police, call us here at Willhite’s Mobile Lock Service. We respond quickly to calls for service from people who are victims of criminal activity, including women who need to have their locks changed to protect themselves, their children, and their pets from an abusive domestic partner. Our professional, fully bonded 24-hour locksmith knows that situations like these are sensitive, and we’re committed to helping restore your sense of security as quickly as possible. Whether your key fob has stopped working, you’ve dropped your car remote down the drain, or you simply can’t get your car doors to open, you can count on our emergency auto locksmith to get you back on the road. We stock a wide range of keys, key fobs, and car remotes for both domestic and imported vehicles, and we can cut and program virtually any key on the spot, saving you the hassles of having to wait until the local car dealership opens up. We can also repair broken ignitions and restore damage down to your car locks from an attempted car theft or forced entry. At Willhite’s, we’re proud to be the only licensed and registered locksmith that offers 24-hour emergency unlock service throughout the area. 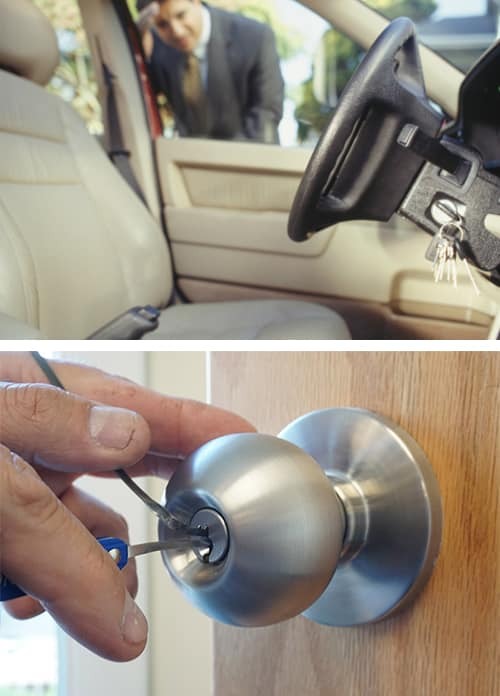 We help homeowners, drivers, and business managers throughout Shenandoah County, Clark County, and Frederick County who need fast, reliable assistance to replace lost keys, deal with a lockout situation or have their locks changed. When you need an emergency locksmith you can count on to provide you with fair, honest prices, quality workmanship, and effective security solutions, call us here at Willhite’s. We’re the leading mobile locksmith service in Winchester, VA, and we’re ready to serve you.